One Family, several Devices, different Platforms, one budget book! Always there, online and as app. Can I afford those new shoes? Do I have enough money to last until the end of the month? Where has my money gone? Our budgeting book helps you finally take control of your finances! Our many years of experience developing the MoneyControl Budget Book Apps for various mobile platforms (iOS, Android, etc.) 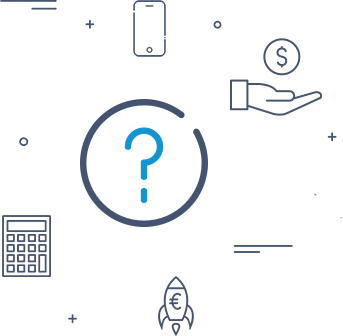 have now been used to create the Primoco platform. 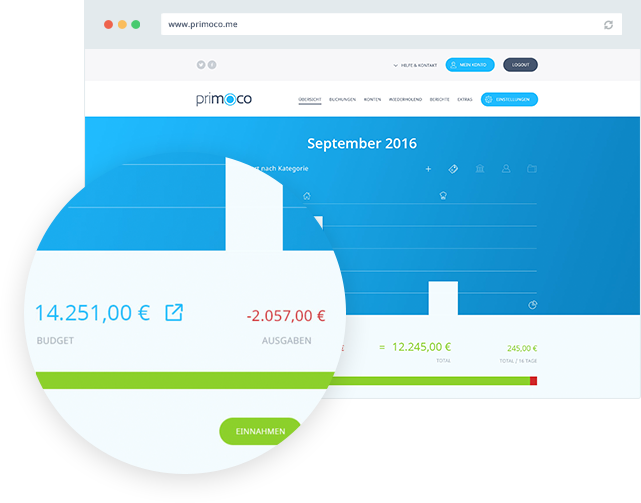 Primoco - Priotecs MoneyControl - is a web app that offers you all the functions you need to manage your personal budget. No more, but definitely no less. Primoco ist not free and with good reason. Learn more about our offers and create your personal budget book with a free test. Data security and safety is our highest priority. Being a German company, we're used to super strict data security regulations. 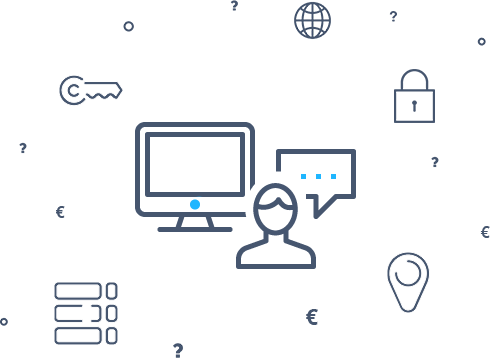 We use servers exclusively located in Germany and Europe. Data is transfered using encrypted connection only..
A budget book has to be easy to use. Otherwise, it's easy to lose interest and become confused. 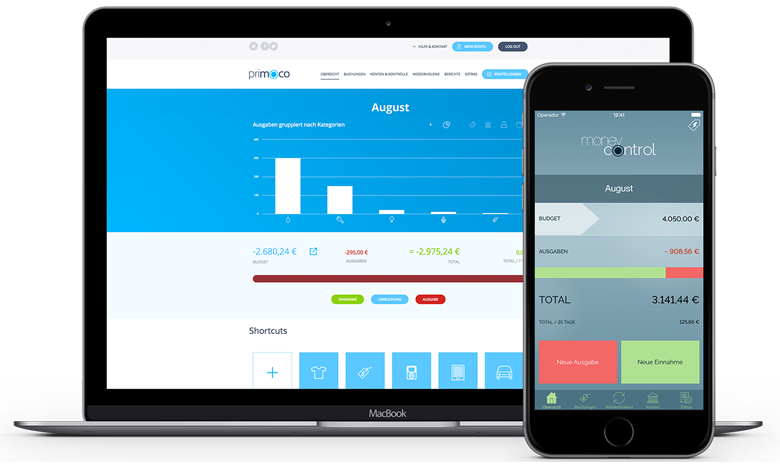 Primoco deliberately focuses on what's most important while still offering all the features you need to manage your finances. CSV Export to edit your data in Excel, Numbers, etc. Apps availabe for iOS, Android and macOS. Great to use MoneyControl offline on the go. With individual apps for all common smartphones and tablets, Primoco is your close companion. You can input your expenses on the go and synchronize with your online budget book at a later time. This way, you'll never forget any expenses and always stay up to date.